Our annual citywide conference Afterschool Leadership, Partnership, Impact is on July 24, 2018. Are you a program director who aspires to move into a more senior management position? Maybe you’re thinking of running your own organization someday? If so, here’s an opportunity you shouldn’t pass up! Apply now to host a 2017 Summer Teaching Fellow! The Summer Teaching Fellow program provides interested and qualified summer camp programs with a trained college student who can provide a range of services including, but not limited to: developing and (co)facilitating educational enrichment and specialty activities, curriculum development, and small group and individual tutoring to children who could benefit from additional support. 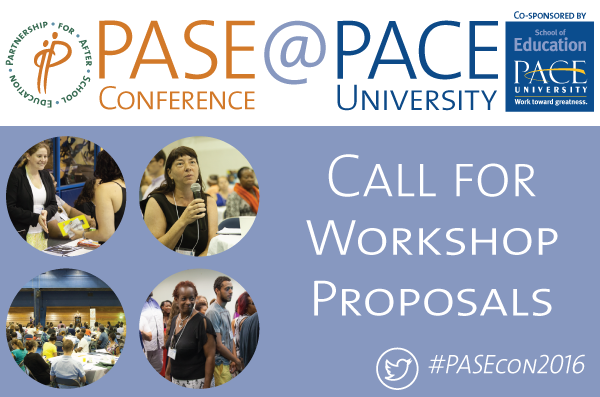 PASE recruits, hires, trains and provides a summer stipend for each Fellow. 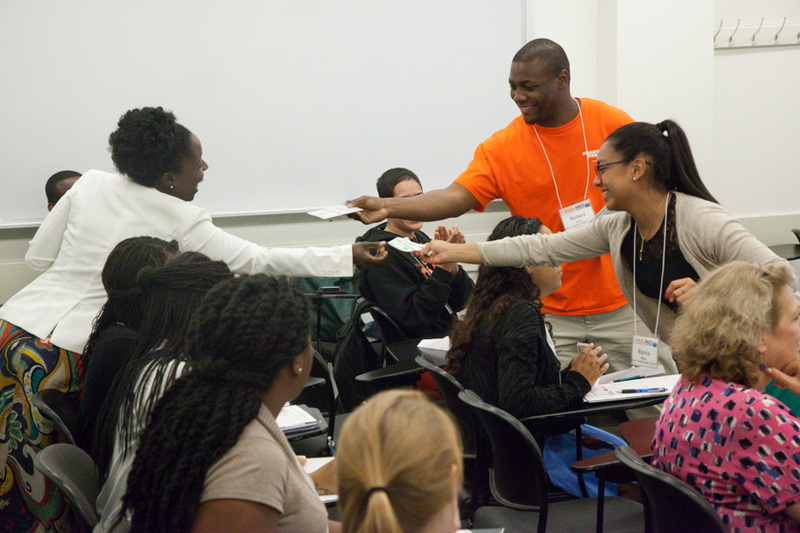 We are seeking proposals for our annual citywide conference Afterschool Leadership, Program, Impact to be held at Pace University in New York on July 28, 2016, co-sponsored by Pace University’s School of Education.